Currently starring in Mainland Chinese historical drama Queen Dugu <独孤皇后>, Chen Xiao’s (陈晓) recent weight gain was noticed by fans. Many speculated the weight gain must have been the happy aftereffects of his joyous marriage with Taiwanese actress, Michelle Chen (陳妍希). Married for three years, the two have a two-year-old boy. As fans have commented on social media about him being on the verge of getting the “Dad bod”, Chen Xiao jokingly responded, “Everyone said that I’ve gained weight?” Confidently facing fans on the matter, Chen Xiao is unfazed by the comments. Many believe that his happy marriage is the reason for his weight gain. 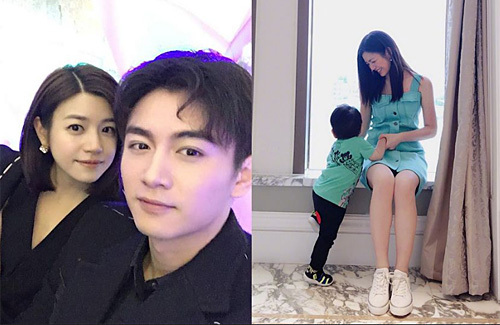 But Chen Xiao is not alone, as his wife Michelle also uploaded a funny video of herself dressing up as a little pig with a sticker saying, “fat” to indicate her weight gain during Lunar New Year. 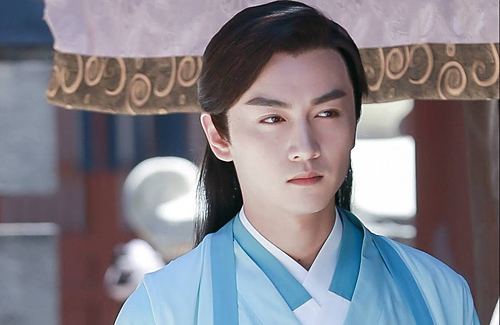 Though known for his period dramas such as Nothing Gold Can Stay <那年花开月正圆>, Chen Xiao said that he will appear in less historical dramas after after Queen Dugu. This made fans wonder if he will stop filming historical dramas, and some cried loudly in reaction.